Metalux® is one of the most lightweight, high-performance insulating materials available. It is designed to reflect thermal radiation and reduce air movement, even when wet or compressed. 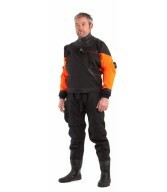 It retains its thermal integrity throughout the life of the garment, which is hard-wearing and machine washable. 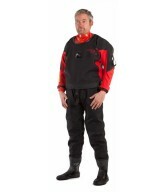 This thicker variant is suited to more extreme diving conditions and/or drysuits without thermal properties. You’ll also get a convenient black drawstring carry bag that ‘s complete with logo and mesh panelling.